It is an annual programmatic conference held at Israel. 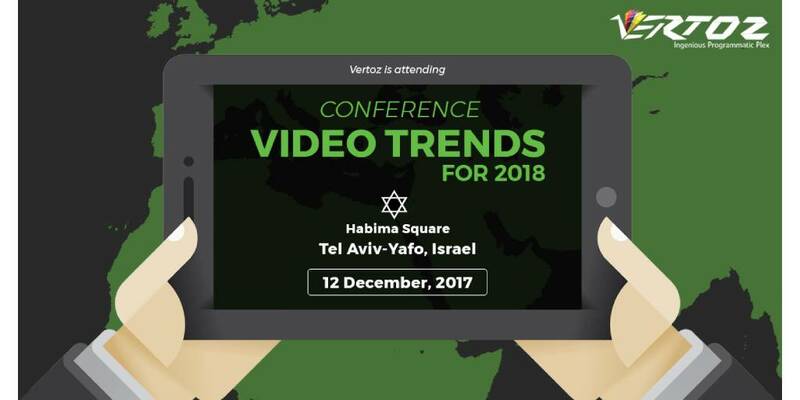 Vertoz attended Video Trends for 2018 which was held at Tel Aviv. It was a huge networking opportunity with the CXO level industry leaders marking the event with their presence. It was also quite helpful in throwing light on how the latest programmatic video trends are shaping up in the industry. It discussed how videos the future growth drivers in programmatic. The interactive sessions helped us to gain industry insights and formulate our business strategies in accordance with the latest industry trends. We got the opportunity to network with the industry stalwarts and build long-term business relationships with them.